Controversial new mammography guidelines won’t change the breast cancer screening approach at local radiology group X-Ray Consultants (XRC). The guidelines, recently issued by the government-sponsored U.S. Preventive Services Task Force (USPSTF) recommend against all commonly accepted routine breast cancer screening methods for average-risk women in their 40s, including mammography and breast self exams (BSE). For Breast Cancer Awareness Month a breast cancer survivor shares her story. While our XRC radiologist talks about prevention and the benefits of early detection and regular screenings. 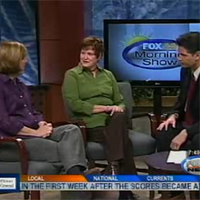 Click the headline to watch the story on Fox 28 Morning show – aired October 2009.